Direct Oceanfront! 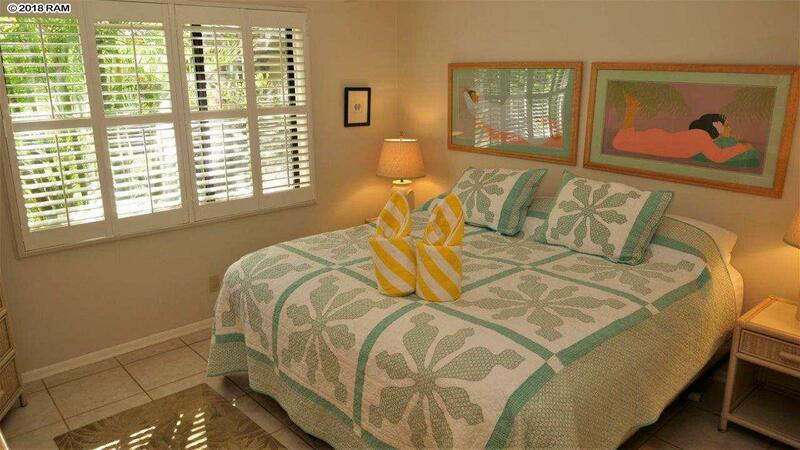 Welcome to this FRONT ROW ground floor one-bedroom one-bathroom fully furnished condominium at Maalaea Surf on Sugar Beach on the beautiful Island of Maui. 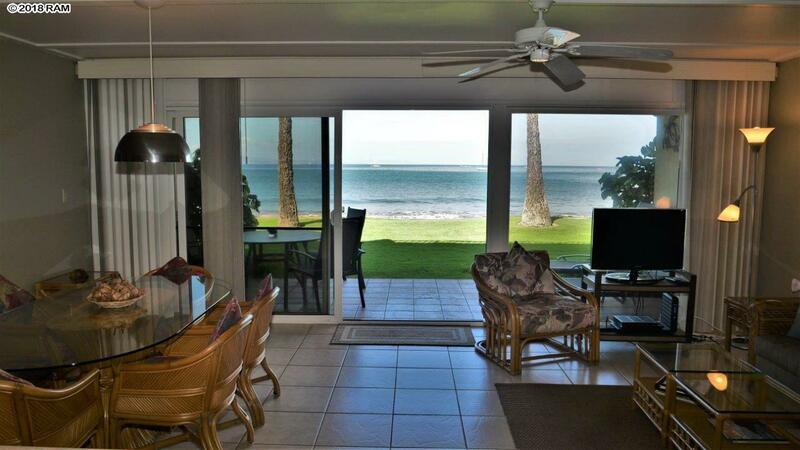 Watch the whales and the waves from the living area and the lanai. Nicely remodeled in 2007. Fully appointed kitchen with maple cabinets and white appliances. Custom, hand painted tiles in kitchen and shower, by local artist Marge Burton. 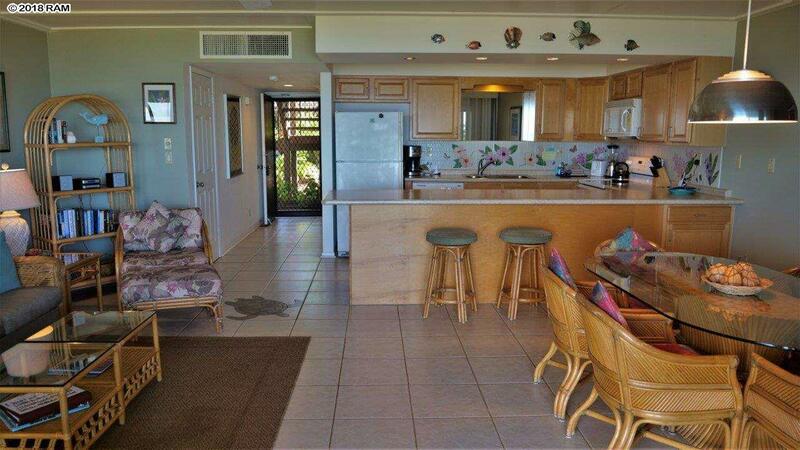 Tile flooring throughout, including the lanai. Custom, inlayed tile turtle in Great Room. Turtle theme throughout. Plantation Shutters in bedroom. Central air conditioning. 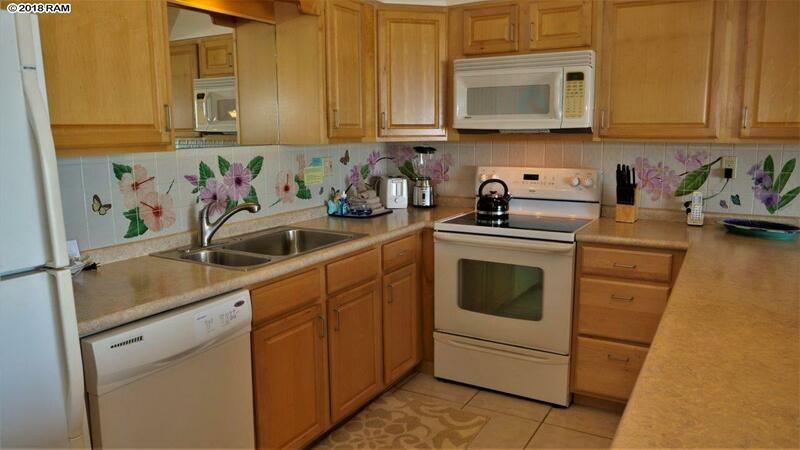 Owners laundry in room next door to H-3; Guest laundry in Building G. Maalaea Surf is a low-rise, low-density condominium complex with only 59 units in 8 buildings on 5 level acres of amazing beachfront property. This unique complex has wonderful amenities including two pools, tennis courts, shuffleboard, BBQs, extra owner storage and beautiful tropical landscaping. Easy to show when not rented.